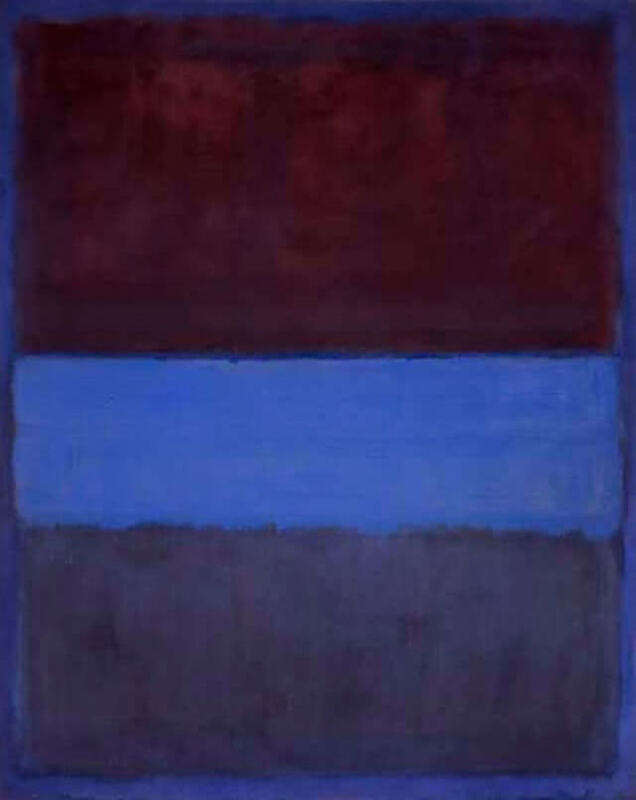 In Rust and Blue (1953), Rothko uses layered color to enrich the hues in the painting and to lend it a quality that the artist described as that of "inner light." Titian's Noli me tangere takes a similar approach to color in order to lend a rich luminosity to the surface, one which will complement the work's religious subject matter. 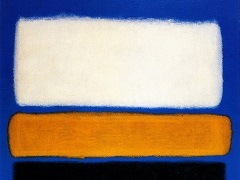 Now applied in thin washes (often composed of both oil and egg-based media), Rothko's color achieved a new luminosity. The artist's technique appears simple, but on close examination is richly varied in its range of effects. At times, paint can be seen running upward across the surface; this is because Rothko often inverted a picture while working on it, sometimes changing the final orientation at a late stage. The work was first exhibited at the Museum of Modern Art, New York in 1961. In common with Rothko's other works from this period, No 61 consists of large expanses of colour delineated by uneven, hazy shades.